Thank you for visiting our online storefront. We hope you like our style and merchandise and would like to incorporate it into your own. 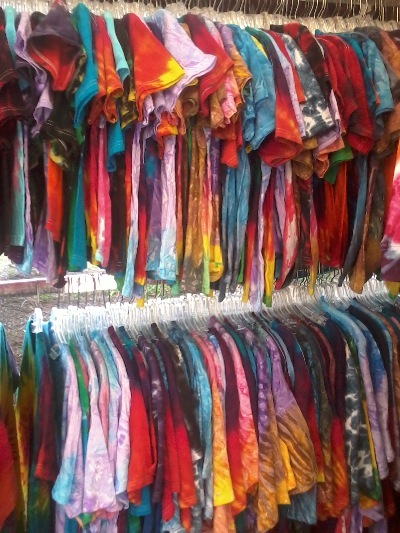 We make and sell tie-dyed products such as t-shirts, dresses, hoodies, and tapestries. We carry a variety of colors and patterns in sizes for the entire family. Please feel free to take a look at our catalogue page. Let us tell you a little about ourselves. Our company, Etc's Tie-Dyes, has been selling tie-dyed products and other hand crafted items along the East coast at festivals and craft shows for more than twenty years. We opened The Alternative Shop in Kinston, North Carolina, in 2001 as a year round storefront and a base of operations for merchandise production. That store still exists today and has become a known feature of the small town. 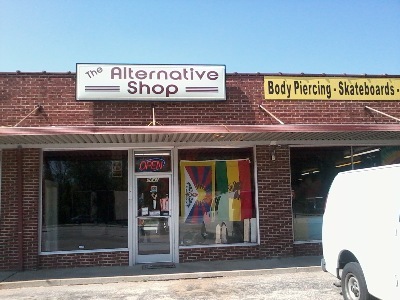 The Alternative Shop is located at 3641 West Vernon Avenue in Kinston. The store hours are 11-8 Sunday through Thursday and 11-9 Friday and Saturday.